Attorney Joseph Pehanick is proud to serve residents in Memphis, TN and Shelby County, and all of it's surrounding areas. When a person needs an attorney, it is a serious matter. That is why it is important to hire a Memphis, TN attorney who fights for their clients in an aggressive and thorough manner. The court system can be confusing, especially when facing situations that can have major effects on your life. You need a Criminal Law who is going to leave no stone unturned in obtaining the best results possible in your case. 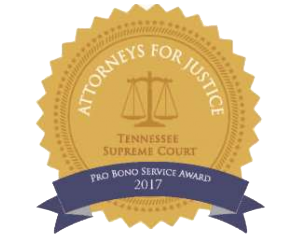 Many years of experience in local Memphis Area Courts will help our clients navigate this complex justice system by providing them with all available legal options and ensure every possible means to negotiate and resolve legal matters to minimize the damage to one's life. We bring the fight to the courtroom for you! With Attorney Joseph Pehanick, people know they can expect knowledge and confidence that comes with honesty and integrity. Our legal team has a well-deserved reputation of excellence in providing smart, sensible, and cost-effective legal representation for our clients in Federal Courts, State Courts, and Municipal Courts. We are committed to providing our clients with well-rounded legal defense in Memphis. We approach every client with a focus on integrity, advocacy, and understanding. We are straightforward and confident when it comes to defending our clients. You deserve a dedicated advocate that is not only hard working, but also reasonably priced.